Determination of suspension stability is critical for nanoparticle formulations. 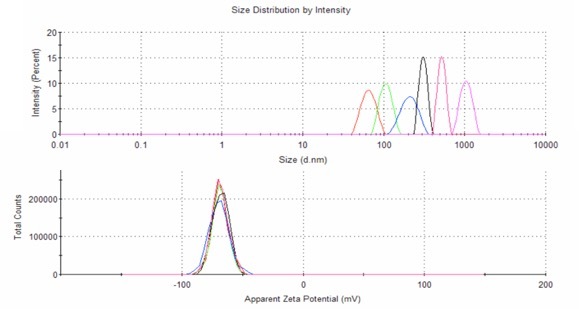 Size distribution and polydispersity index together with zeta potential are very important parameters for characterizing the behavior of nanoparticles in solution. Zeta potential can also be used as a very quick verification of a particular surface functionalization. We use dynamic light scattering (DLS) for nanocharacterization using industry standard Malvern Zetasizer Nano ZS.